Want to spruce up your home, but too lazy to even leave it? 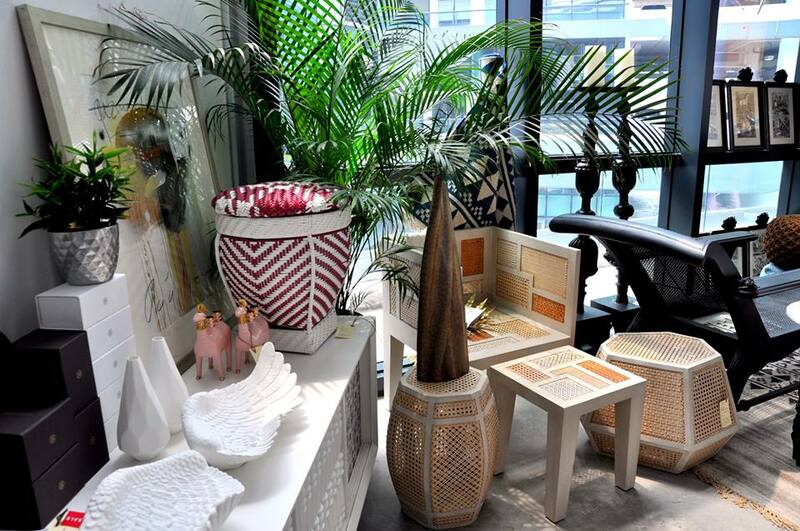 These cool online furniture and home decoration stores in Singapore have got you covered. Castlery is pretty much a one-stop shop for quality contemporary furniture. From sofas to rugs (or whatever you need to furnish your crib with, really) there’s a good bet that Castlery probably has it. Castlery also has one of better customer service policies out there. Besides a 30-day return policy (available for most items that are not customised or marked Final Sale/Display Item), the store also lets you cancel your order within 48 hours should you change your mind. Because sometimes you just can’t help buying pretty things on impulse you know? If you’re the type that is especially finicky about quality, Castlery also has a studio at Alexandra Road where you can view the items in person and have them delivered to your doorstep. Delivery fees range from $25 to $50 depending on your order value, but they’ll waive the charge for orders above $300. Best for: A wide variety of contemporary furniture at reasonable prices. Also good for the fickle-minded (48-hour cancellation policy, remember?). HipVan needs no introduction, especially in Singapore. The online furniture and home decoration store was launched in 2013, but has already become one of the most popular e-commerce sites in Singapore. If you haven’t already checked it out, HipVan has a wide variety of both modern and quirky lifestyle items (Kueh Tutu Cushion anyone?). 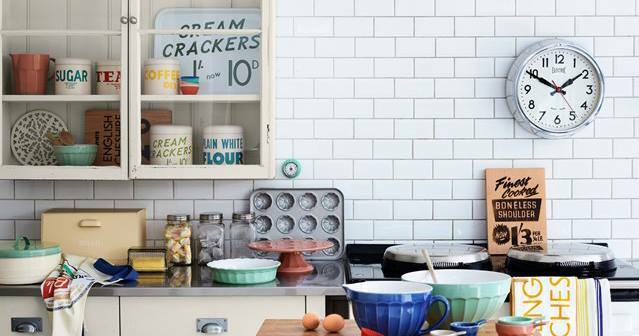 Besides furniture and home decoration items, HipVan also stocks a wide range of Pinterest-worthy kitchen tools – think mason jars, cheese boards and cake stands. If you’re looking for furniture that suits a popular theme, HipVan also has a Style Inspirations section that filters furniture and home decoration items based on popular design themes such as Scandinavian, Industrial Chic and Resort Living. Depending on your selected item, shipping can take anywhere from 3 to 21 days. The shipping fee for orders below 3kg is $4.50, but HipVan offers free shipping for orders above $75. The store’s return policy is within 30 days. Oh, and if you need yet another reason to bite the bullet and buy that couch you’ve been eyeing on HipVan, we hear that Citibank and Standard Chartered credit card holders get a discount off their order for a limited period only. Best for: People looking for fresh ideas to spruce up their homes. Also, if you love quirky conversation pieces, HipVan will definitely have something for you. 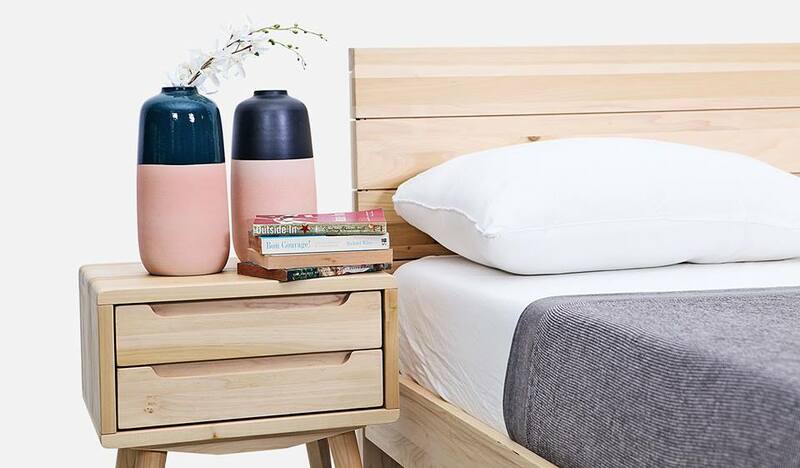 FortyTwo is one of the oldest and largest online furniture stores in Singapore, with over 8000 products ranging from bed frames and coffee tables to even the most obscure home appliances like an ice cream maker (because why not?). If you ask us, FortyTwo is kind of like Daiso, Harvey Norman and Best Denki all rolled into one online store. One of the most attractive things about FortyTwo is probably their customer service policies. Besides free delivery on orders above $300, they also offer a 7-Day Money Back Guarantee and price matching. You can also choose Cash On Delivery as a payment method for selected items. Best for: New homeowners looking for affordable furniture and appliances that don’t scream IKEA. Naiise is very much like Singapore’s version of Etsy, with over 8000 unique products from more than 600 international and local brands. From classy furniture to quirky prints and posters, you can count on Naiise to bring you a collection of well-designed lifestyle products. 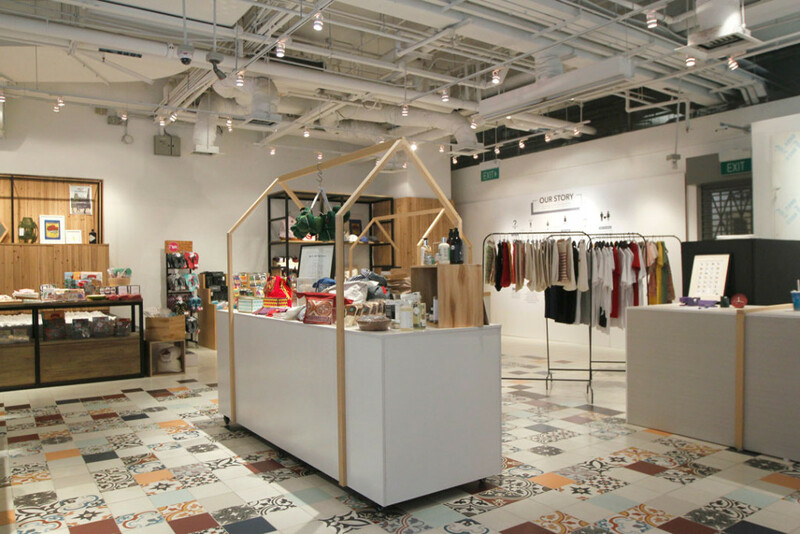 Although their selection of furniture and home furnishings may not be as extensive as some of the other stores on this list, Naiise does also stock stationery, clothes and gourmet food. One of the nice things about Naiise (lol pun intended) is that it acts as a great platform for emerging local brands to get their name out there. They also have a cute collection of Singapore-centric designs, such as Singapore Coin Coasters and a set of Singlish Highlighters. See the rest of the collection here. Besides a 14-day return policy, Naiise also offers Cash On Delivery and free shipping for orders above $75. Shipping is about $3 to $5 for most other orders, and delivery takes about 7 to 14 days. Don’t forget to sign up for their mailing list to get $15 off your first purchase (minimum spend of $100). Best for: Those who want to add some hipster vibes to their home. Also, if you want to rep Singapore, Naiise is a good place to find some cool locally-made products. 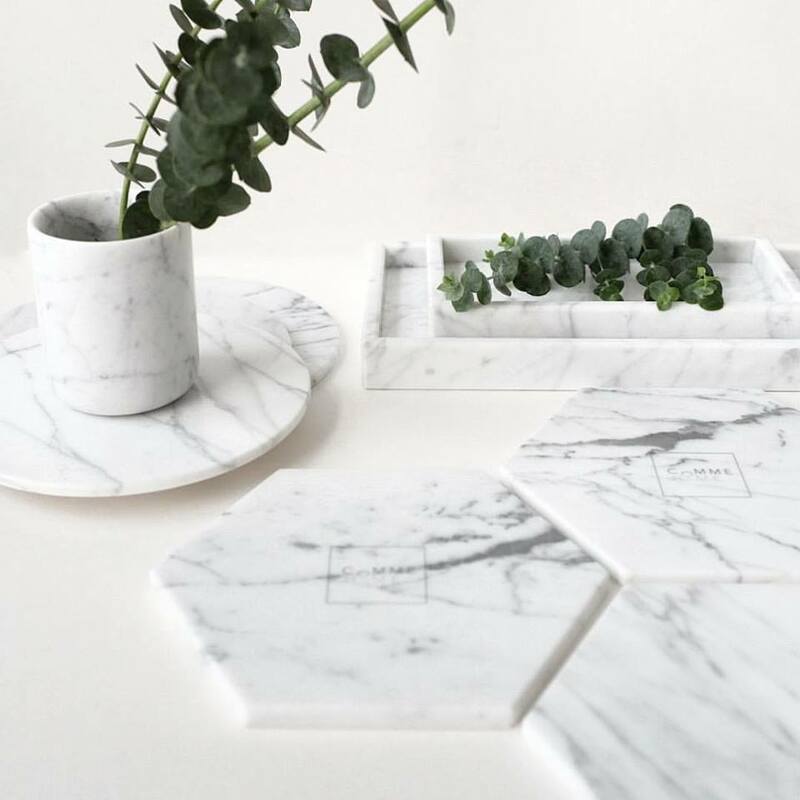 If you’re a fan of Instagram #flatlays, you can’t miss out on Comme Home’s elegant marble boards. Made with 100% Italian Carrara marble, Comme Home’s classy pieces will definitely add a luxe touch to any #flatlay – or home, for that matter. The selection at Comme Home is still a bit limited, but their pieces are both versatile and built to last. Whether you’re displaying cheese or jewellery, marble boards somehow always make things look so much better you know? Plus, the pieces at Comme Home are actually pretty reasonably-priced. High-grade marble can get quite pricey (and marble boards are surprisingly difficult to find in Singapore), but the ones at Comme Home range between $49 to $109. Delivery is free for orders above $80 ($6 for all other orders), and is done via courier so you know your marble pieces will arrive safe and sound. Comme Home also has a 14-day return policy. Best for: Flatlay fanatics, or people who just want to add an atas touch to their home. As its name may suggest, Departures & Arrivals offers a curated mix of furniture and home furnishings by designers from all over the world. From unique tables to handmade cushions, Departures & Arrivals is a great place to find statement pieces made with environmentally-friendly materials. Admittedly, the items at Departures & Arrivals are quite pricey, but they do carry some truly beautiful and unique conversation pieces. They also offer free delivery on all orders, which takes about 3 to 7 days. The refund policy is within 30 days of receiving your order. Best for: People who are looking for statement pieces, but don’t have the luxury of travelling around the world to do so. Very unique furniture and price is pretty affordable too!